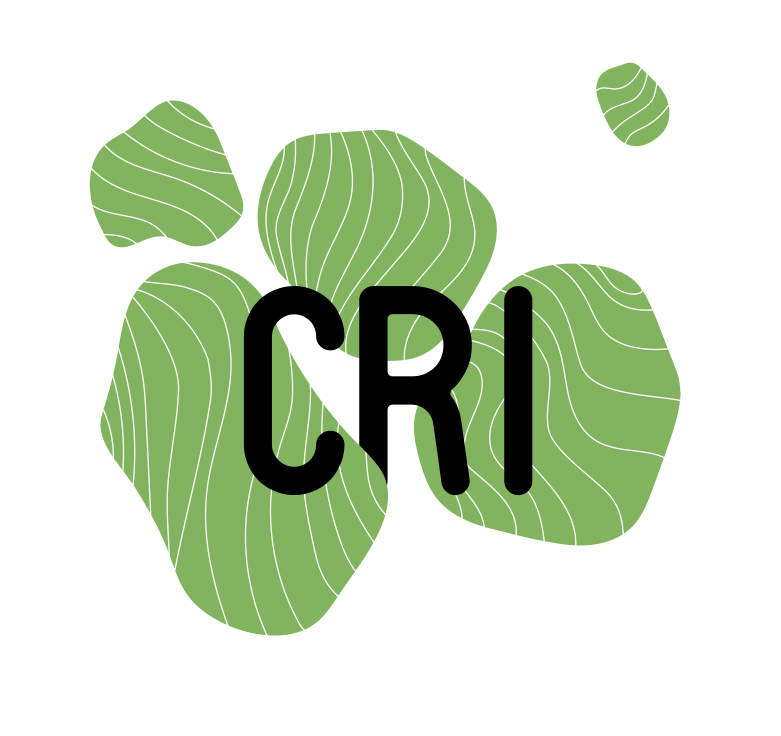 Founded in 2005 by François Taddei and Ariel Lindner, the Center for Research and Interdisciplinarity (CRI) is a French educational institution that offers interdisciplinary research-based study, and awards a bachelor’s and master’s degree in interdisciplinary approaches to life sciences. The community is composed of students, teachers, researchers, scientific advisories and staff representing over 50 nationalities. Each year there are Thematic Workshops that aim to create a discussion and exchange amongst PhD and master’s students as well as the CRI community. 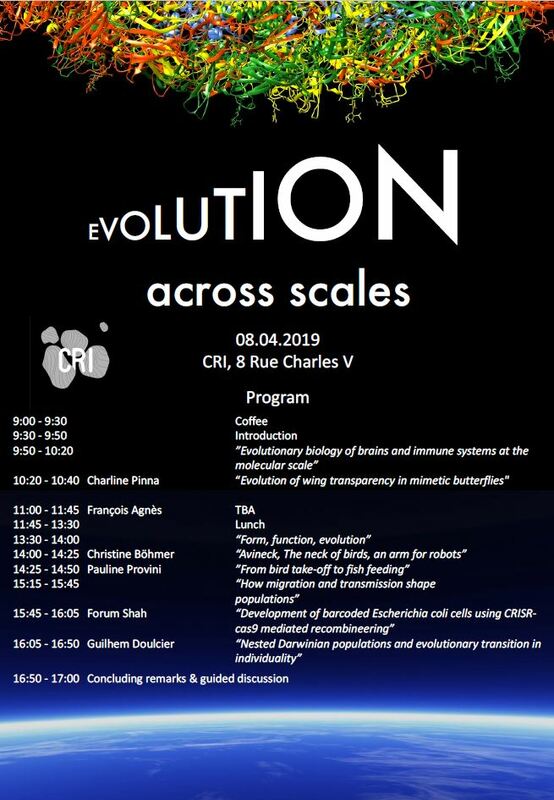 This year’s topic of the first day is “Evolution across scales” and I am honored to have been invited to speak about my research at this event. In particular, I presented our results on the functional morphology of the neck in birds that is part of our collaborative work within the ANR-funded project “Avineck” (Project coordinator: Prof. Anick Abourachid). Under the title “The neck of birds, an arm for robots” I talked about how the biological results on the biomechanics of the avian neck serve to prototyp a bioinspired robot. It was a very interesting day at the CRI and I enjoyed listening to the other presentations on various topics in evolutionary research. As the title of the workshop indicates, evolution happens at different scales – from small to large. In this sense, the speakers approached the processes of variation and natural selection from different perspectives giving examples of micro- and macroevolution: evolution of the immune system, the brain, population evolution, form-function relationships in the light of evolution and molecular evolution. I thank Gregoire Boulinguez-Ambroise (PhD student in our lab in Paris, supervised by my colleague Dr. Emmanuelle Pouydebat) for inviting me to this event! It was a great opportunity to meet young, promising researchers and to get to know the CRI – a research institute that promotes interdisciplinary research.